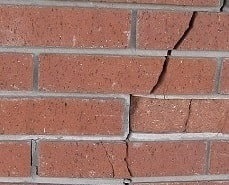 One problem that many homeowners will eventually have to deal with is a foundation that starts to sink or settle. Foundation settlement is the downward movement of a building to a point below its original position. Wet and softening soils: When the soil gets overly wet, it will swell or heave. Poorly compacted fill soil: If the soil was not compacted correctly at the time of construction, the weight of the building will cause the soil to compress. Knowing what to look for and recognizing the signs of foundation settlement will help prevent costly repairs and future settlement. 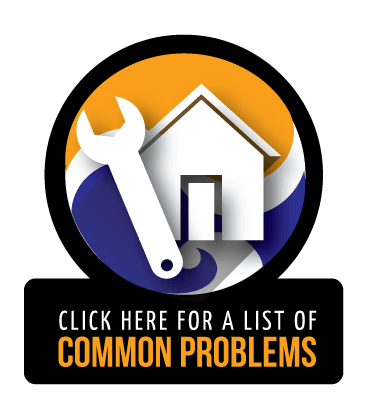 If you discover any of these structural issues in your home, Jerry's Waterproofing has the right solution. At the first sign of foundation settlement, don't hesitate to contact us. The sooner the repair is done, the less damage that will occur to your foundation and the lower the cost to repair the problem. The contractors at Jerry's Waterproofing use underpinning methods to take care of the settlement in your foundation. These methods normally involve installing products like steel push piers or helical piers. The products that we choose are made by Earth Contact Products (ECP). 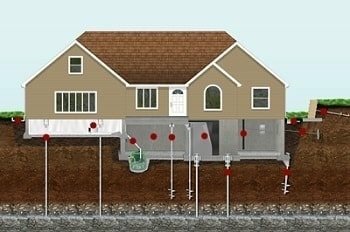 Steel resistance piers are used to provide stabilization and lift for your home by taking the weight off of the foundation and the weak soils below and transferring it to soil layers deeper in the ground with more stability. Helical piers are an excellent choice for repairing foundations when the structural load is not extremely heavy, when the rock basement is not stable, or when the stable and load-bearing layers of soil are located deeper underground. Another benefit that makes helical piers a great choice is that they can be installed easily in nearly any condition, they do not disturb the job site, and the load can be transferred right away. Let the experts at Jerry's Waterproofing inspect your foundation and give you a free estimate and answer any questions you may have regarding your foundation settlement repair needs in Nebraska, Missouri, or Iowa. 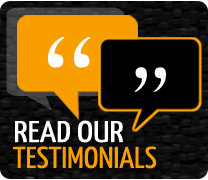 We have over 30 years of experience in foundation repair and basement waterproofing. Contact us today to learn more.